Sometimes all you need to do is make the right choice. And trust me…I had to make a lot of choices leading up and during this battle against MeserEngine’s Twin City Torterra. So let me just go straight to the Pre-Battle Prep to tell you all about it in this week’s UPPL Update. As we cover Saturday’s match where your Nimbasa City Emolgas took on the Twin City Torterra! The match against the Twin City Torterra had a lot of thinking behind it. We knew that Mes was a master battler due to his experience in Blast Burn Radio. After all, the whole podcast is about battling and countering your opponent’s Pokemon. That type of experience could blow me out of the water. Mes is an accomplish battler who was somebody I didn’t want to take lightly. 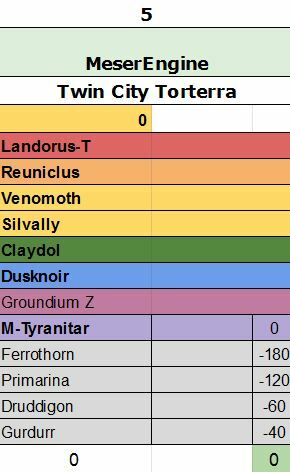 It also didn’t help that Mes and the Twin City Torterra used the same team two times in a row. That means I had little data to work with in order to get an idea of what Mes could do with his team. Meanwhile, Mes had two battles to look back on to see how I battle and which Pokemon I would bring. Mes had plenty of things that could threaten us. 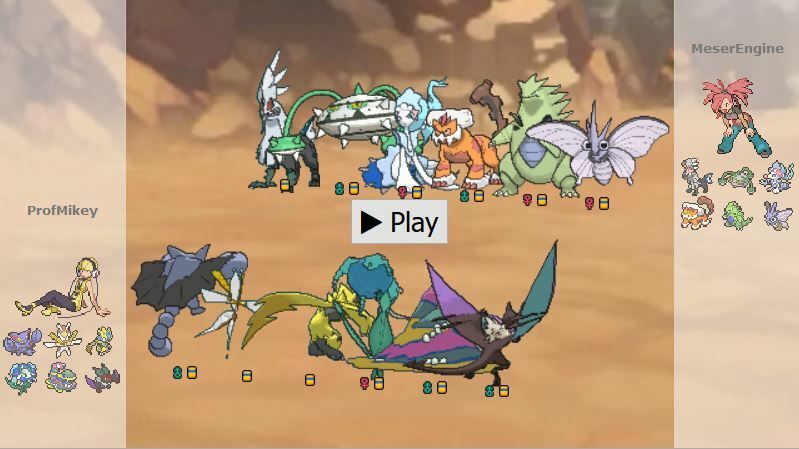 The biggest one was that Landorus-T which is famous for the amount of knockouts it had done so far in the League. That infamy from the Singles metagame follows it into League play. It had nasty things that it could pack such as Hidden Power Ice, Stealth Rock and Stone Edge. Some Landorus-T have been known to use Explosion in order to take out big defensive walls. Lastly, let not forget that Landorus-T has Earthquake. A STAB Earthquake could do some heavy damage to any Pokemon. Even worst was that Mes could give it a Groundium Z to use Tectonic Rage. If one of my Pokemon get hit with that then they will not live. Other things that Mes had which worried me was Reuniclus and Venomoth. Based on Mes’s previous matches, he wasn’t beyond using Quiver Dance on Venomoth to boost up it’s Speed and Special Attack power. If he does that then Mes could easily run over my team. Reuniclus could do the same thing with a Calm Mind and Acid Armor set. That was something that was used against me in practice matches that I didn’t want to see happen in my match against Mes. Even if Mes didn’t bring that Calm Mind/Acid Armor set, Reuniclus was no slouch in defenses. 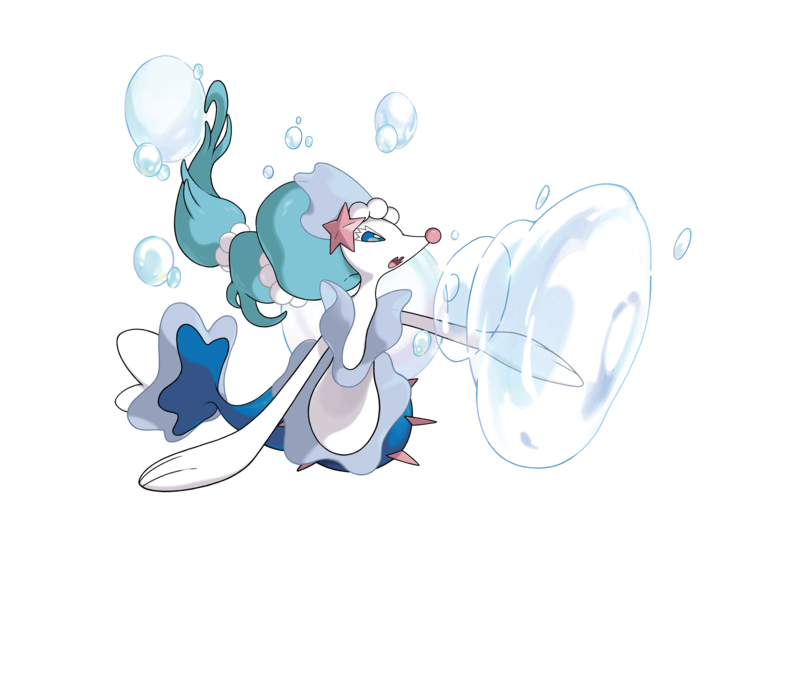 If we wanted to worry about another offensive threat then there was Primarina. I have seen Mes use Primarina in a previous match where it was Choice Specs. It used that Choice item to fire off powerful attacks that destroy defensive walls. I had to be careful with that when it came out. Mes also had a Ferrothorn that was a massive wall to overcome. This Pokemon had great defenses and nice recovery in the form of Leech Seed. It can easily tank a hit and then fire off Leech Seed. Once it does that then it can hide behind Protect to slowly drain my Pokemon of their HP and wait for them to be knocked out. Lastly, we had to worry about Mes’s Mega Tyrantar. This beast could easily set up with Dragon Dance to up it’s Attack and Speed. Mes also could simply go without the boost and just hit something hard with Stone Edge. There is also the Sand Stream ability that can set up Sandstorm upon entry. This will give Mega Tyrantar a boost to his defenses. With all things considered, we needed things that would counter these Pokemon. We needed to bring our best defensive walls and hard hitting attackers. That is why we brought our team of Gliscor, Kartana, Zeraora, Florges, Alolan Muk, and Noivern. Gliscor was just a good wall that we wanted to hide behind. It could use Stealth Rock to put chip damage on Mes’s team. There was the option to Toxic stall if we needed. Overall, Gliscor was a good wall that we can depend on when in a pinch. We could use Gliscor to get some information on Reuniclus’s ability as well. If Reuniclus came in without taking damage then we knew it had the Magic Guard ability. Kartana is our biggest cannon. It can hit anything hard with the right attack. Especially against the Pokemon that Mes was bringing. The problem was the speed as it can be out sped sometimes. Because of that, I knew I needed to do something to give us an edge against Mes. That is why I decided to give Kartana a Choice Scarf this week. It would be fast enough to out speed anything on Mes’s team that wasn’t Choice Scarf. That way it could be used as revenge attacker or simply out speed things and hit them hard. I am not a fan of Choice items due to how they limit you to one attack. Though, I needed something to give me an edge against Mes. 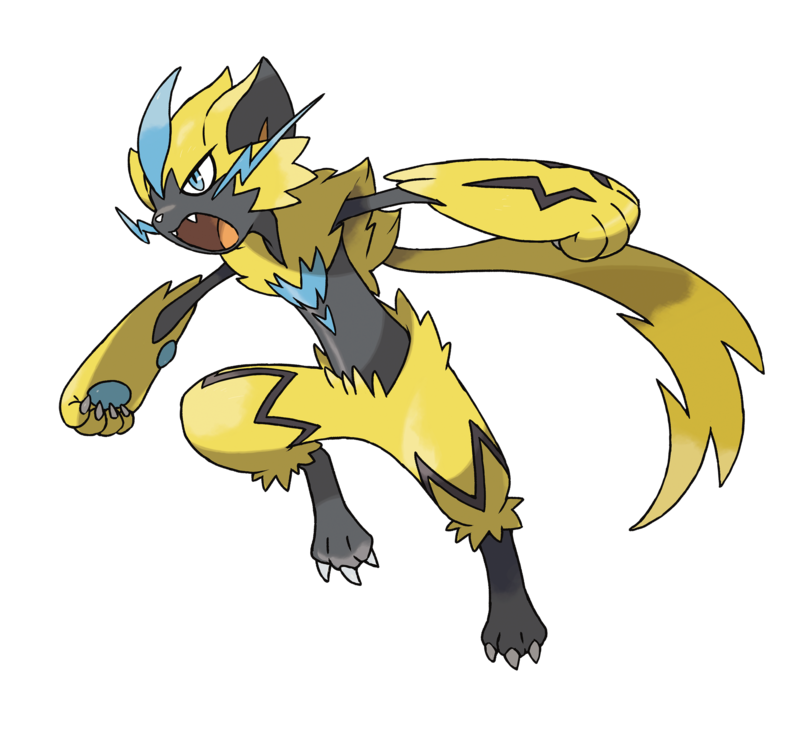 Zeraora is my old reliable Pokemon. It can hit things hard with Plasma Fist and was fast. It was armed with Hidden Power Ice which will hit Landorus-T hard. Even better, Zeraora could out speed Landorus-T to hit it first with a Hidden Power Ice as long as Landorus-T wasn’t packing a Choice Scarf. Florges is another reliable wall that could be used. Especially against some of Mes’s special threats that he could bring. Alolan Muk came along because I wanted another special wall to sponge up hits. It could also be useful against Reuniclus by using Knock Off. Alolan Muk could also go ahead and hit Ferrothron with a surprise Fire Punch. Lastly, I brought along Noivern. This dragon-bat was speedy and could be used as a revenge attacker. It can hit anything with a hard Draco Meteor and then use U-Turn to escape. The problem that I had with Noivern is that I had no idea what item to give it. 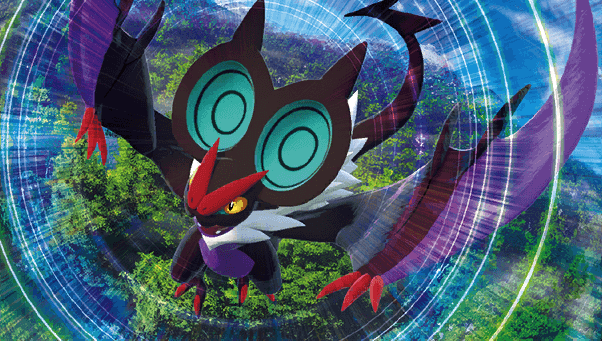 Life Orb was used at first but Noivern didn’t have the HP to use it for many turns. I tried Leftovers on Noivern but I discover it didn’t have the power to knock a Ferrothron during practice matches. With that said…This was the team I brought against Mes. Our opponent was undefeated and I was inexperience. My plan was to at least knockout three of Mes’s Pokemon. If I could do that then I would have been happy with my performance in this battle. Either you die a hero or live long enough to become the villain. Once again, the battle started with a surprise as Mes decided to bring along his Silvally. During the planning period, I had thought that Mes could bring Silvally as it can become any type he needed. It had a wide range of attacks that could be used as STAB attacks with the right Memory. What really surprised me was Silvally came with no Memory attached. Instead it went straight to Ice Beam to knockout my Gliscor who did nothing. The next surprise that came was seeing Kartana’s Sacred Sword not knockout Silvally. I knew that I could out speed Silvally with Kartana but I was hoping to do a quick revenge knockout. That didn’t happen and Silvally was able to fire off another Ice Beam. Luckily, Kartana was able to live the hit but with a quarter of HP left as you saw in the replay. Though, Mes was not going to risk losing his Silvally. Especially because it was Choice Scarf and he knew by now that my Kartana was also Choice Scarf. The next key part of the battle was switching in Noivern when Mes used his Landorus’s Z-Move. Right when I decided to switch into Noivern, Mes had activated Landorus’s Groundium Z. Tectonic Rage was made useless as Noivern got a free switch in without taking damage. That big blast was avoided all because I wanted to preserve my Alolan Muk and avoid taking an Earthquake. Instead I made my opponent waste his Z-Move. But Noivern wasn’t done yet! Right when my opponent thought he was safe behind his Ferrothorn was Noivern’s chance. Noivern was packing heat in the form of Flamethrower. This move was on Noivern in the chance we had the opportunity to use it against Ferrothorn. I knew it could knockout the big metal seed Pokemon as long as Life Orb was attached. It was a good decision to keep Life Orb on Ferrothorn. And Noivern came key later on during the battle when Venomoth came out. Mes was going to try to do some stat boosting after putting one of my Pokemon to sleep. That was when I decided to swap in my Noivern in an attempt to phaze using Whirlwind. Another tech that I had put on Noivern to order to get rid of any Pokemon with boosts. I guess Mes was afraid of a Flamethrower from my speedy Noivern because he hard retreat into Primarina. Now, you may have noticed that I wasn’t doing any predictions on what Mes may switch into. One example of this was having Noivern use Draco Meteor onto Mes’s incoming Primarina. I didn’t want to risk anything in this match. Especially on a prediction that could cost me the match. I wanted each one of my attacks to be able to hit whatever was in front of my Pokemon really hard. Perhaps I was telegraphing my attacks but I didn’t want Mes to predict my attacks if he knew what each of my trump techs were going to be. That could be seen as Mes made his Landorus-T stay in on my Zeraora. It was amazing to see Hidden Power Ice hit Landorus-T for a knockout. One huge threat gone. Which was all I needed in order to finish the match with Kartana. As you saw, Kartana took the rest of the match by using Smart Strike. It was one strike after another as Kartana took the final knockout against Mega Tyrantar in a flash! The one turn that did matter was when Mes’s Venomoth was out. Smart Strike didn’t knockout the Venomoth but the Sandstorm did. That means Kartana’s Beast Boost wasn’t activated to give an Attack boost. Because of that, we didn’t have enough power to knockout Primarina. Though, we had gotten a critical hit on Primarina which gave us the knockout with Kartana’s Smart Strike. That critical hit did matter and was the reason why we were able to overcome the rest of Mes’s team. What I should have done was just swap into Florges to take the hit from Primarina. Allow Florges to get knockout and then have Kartana to come back into the battle with a Leaf Blade. Either way…we took our second win against one of the toughest battlers in the UPPL in a close match. There was plenty of switching on my behalf but we put on our Choice items and made our best choices. In the end, we lived long enough to become the villain. We are out of the fire but our next opponent is bringing the fire! 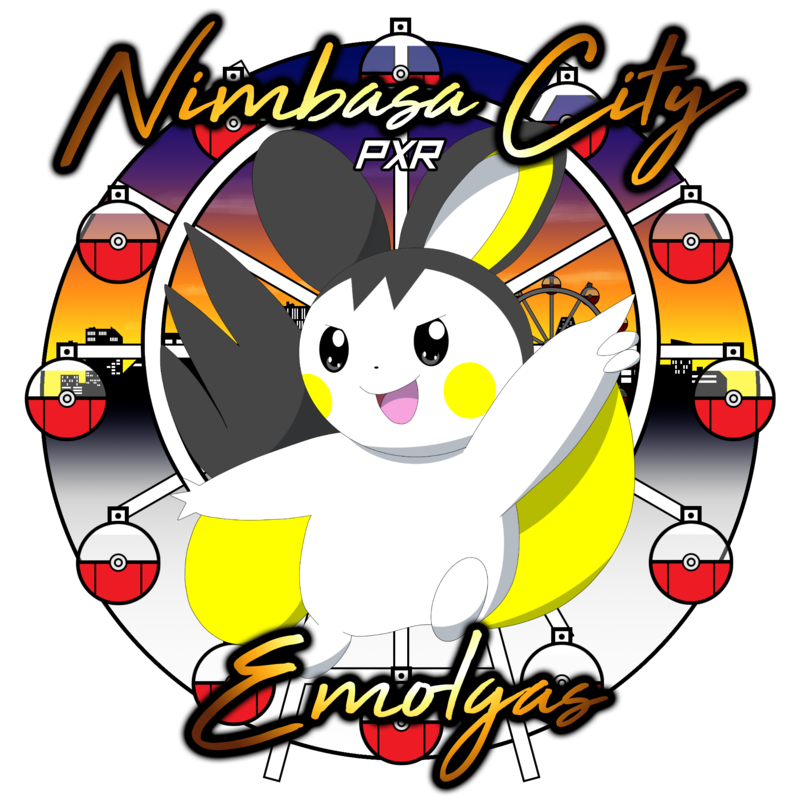 Next week your Nimbasa City Emolgas will be taking on the Di Teddiursa! This team is coached by Micheal from Pokemon Rollout. Micheal is new to the video game battling format but a strategist when it comes to the D&D realm. Currently Micheal is 2-1-0 and has proven that he has some battling prowess within him. He may be green in battling but has proven to be no slouch. 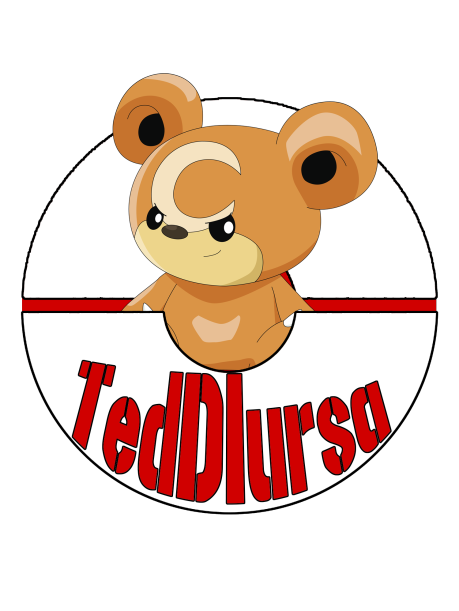 The Di Teddiursa have some strong Pokemon such as Mega Beedrill and Zygarde on his team. These two are expected to be powerful foes if they are to come this week. There is also the dreaded Tapu Bulu to worry about as well. These big threats can really bring the pain on my team. 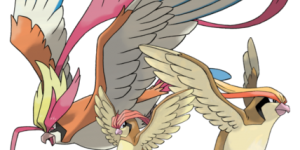 In the past few matches, Micheal has proven that he can use these three Pokemon to do some serious damage on my Pokemon. 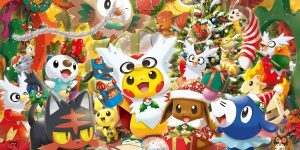 This week is going to be the battle of the cute mascots! Who will win? Well, I do because it has already happen! But stay tune until next week to find out! Micheal and myself are new to the battle scene but we put up a great battle! Make sure to see how scrappy we get next week! ← GO with Friends and Trading Weekend!